The San Diego County Department of Environmental Health has issued a General Rain Advisory to avoid water contact at all coastal beaches and bays due to recent rainfall. 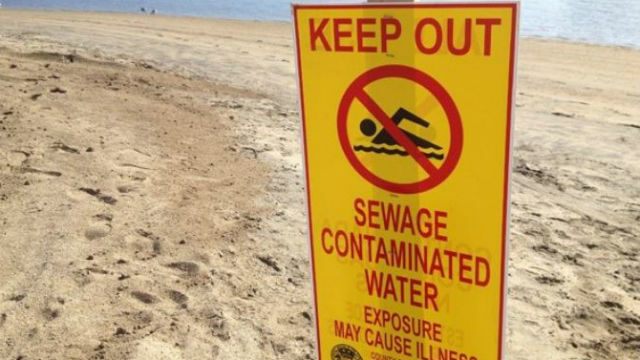 Swimmers, surfers, and other water users are warned that rain brings urban runoff, which can cause bacteria levels to rise significantly in ocean and bay waters, especially near storm drains, creeks, rivers, and lagoon outlets. Urban runoff may contain large amounts of bacteria from a variety of sources such as animal waste, soil, and decomposing vegetation. Bacteria levels can remain elevated after a rainstorm depending upon the intensity of the storm, volume of runoff and ocean conditions. Many coastal storm drains have permanent warning signs, however, additional warning signs are not posted for General Rain Advisories. Water contact such as swimming, surfing and diving should be avoided during rain and for 72 hours following the rain event. The water contact closure area includes all beaches from the south end of Seacoast Drive to the International Border. Beach closure signs will remain in place until ocean water sampling results meet State health standards. Please be advised that some access roads and trails within the Tijuana River valley may also be affected by sewage-impacted runoff and should be avoided if flooded.